This is a 61 year old female with a renal mass. 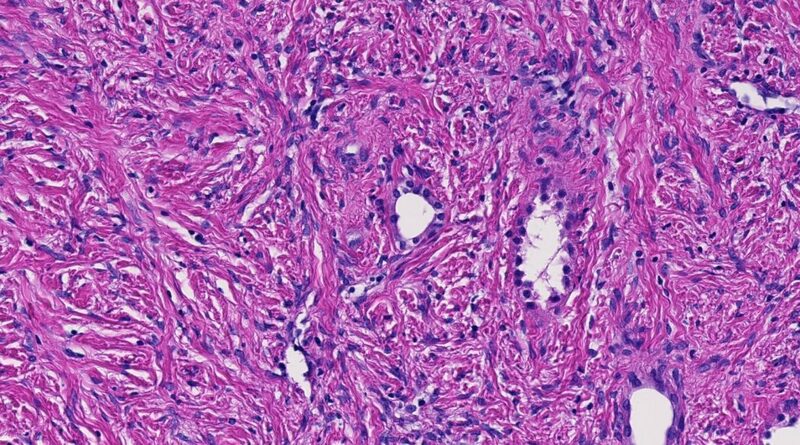 Histology: This is a bland spindle cell lesion associated with thin collagen which is centered in the renal medulla and permeates between native collecting ducts and renal tubules. There is no mitotic activity. 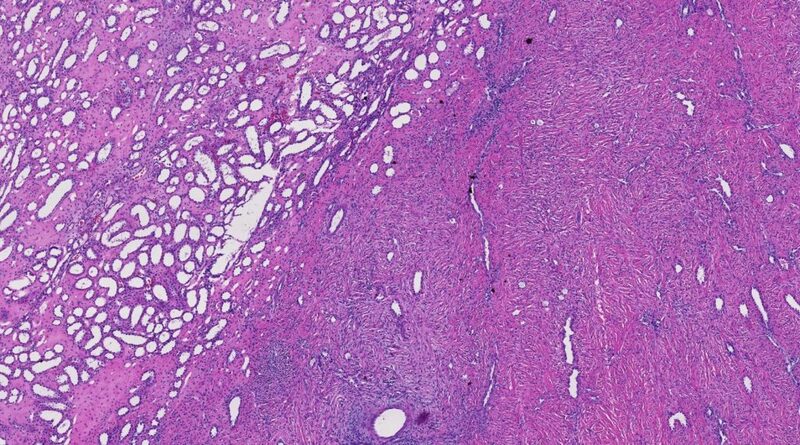 These features are diagnostic of renal medullary fibroma (renomedullary interstitial cell tumor). 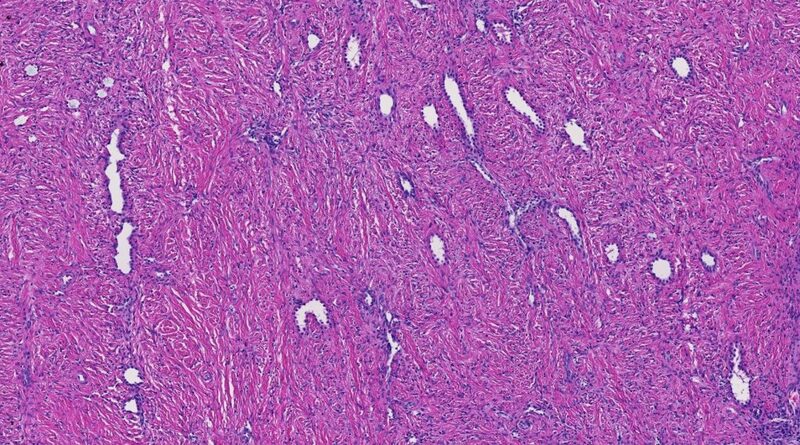 Discussion: Angiomyolipoma of spindle cell type may entrap tubules; however, the lesional cells would have a muscular phenotype with pink cytoplasm and show labeling for actin and melanocytic markers. 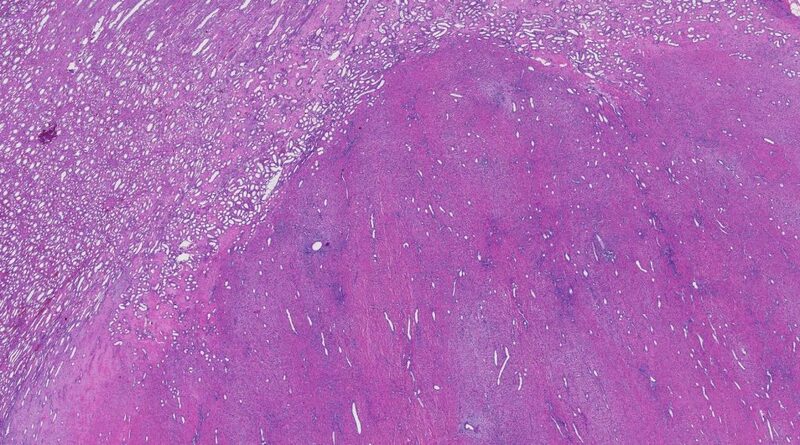 Mixed epithelial stromal tumor generally has a smooth muscle phenotype, and would demonstrate diffuse immunoreactivity for hormone receptors in most cases. Metanephric stromal tumor usually occurs in younger patients, and demonstrates concentric onion-skin growth around native tubules which is not seen in the current case. Medullary fibromas are benign renal lesions, usually incidental findings in nephrectomies performed for other lesions. 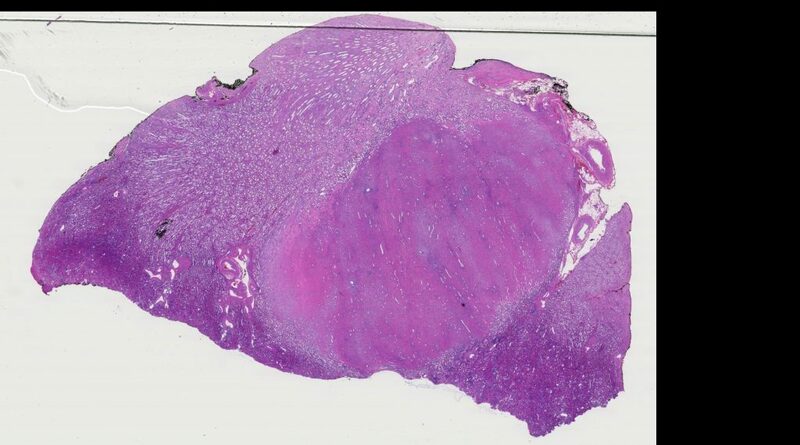 In the current case, the lesion was a 1.5cm mass which was the reason for the resection.